Nothing points up the importance of voting than independent campaigning for the marginal districts in the 2015 elections. Getting the word out is literally in the hands of the Digi-generation. They alone expose the gaping holes in the political blogosphere between policies that help or hinder the most vulnerable inhabitants. Positive thinking is the independent Operation Black Vote’s antidote to voter apathy. Hindu activists rally around the cry: “Hindu vote will depend on how politicians address our concerns”. 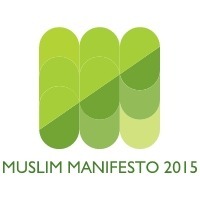 Muslims launch their voting manifesto online. Cyberactivists rouse voters to counter policies that increase poverty and despair in inner city districts. They affirm that the denizens of marginal seats are not marginal people, neither by nature, colour, creed nor class. Therefore, the formidable task for cyber-activists of all stripes is clear. The Digi-generation must inform people, sway hearts and raise aspirations, change minds and gain political allies for both individual and communal regeneration. +Thomas L. Blair is a sociologist and political blogger for creative renewal in Black Britain and Afro-Europe. Author’s Note: the UK General Election Campaign 2015 Series offers tips for Black and minority ethnic communities as they seek to move from the margins to the mainstreams of democracy.